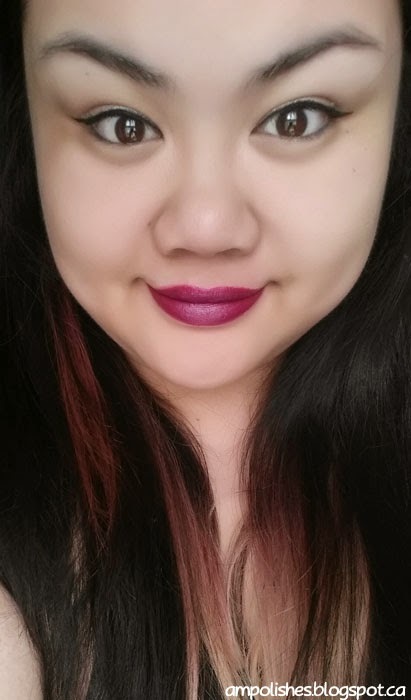 Today, I have NYX Matte lipstick in the shade Aria. 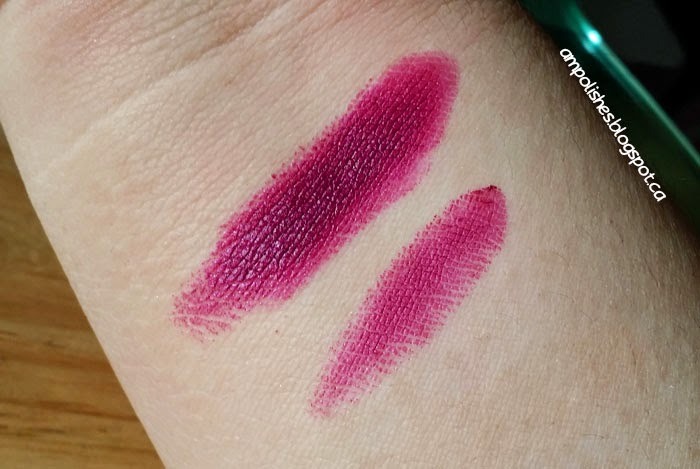 It looked much darker online and in the tube than it did on the lips. I was hoping for a darker shade but it turned out to be pretty bright. Since I am still experimenting with cosmetics and lip colours, it was pretty scary to wear it and realize how bright it was. 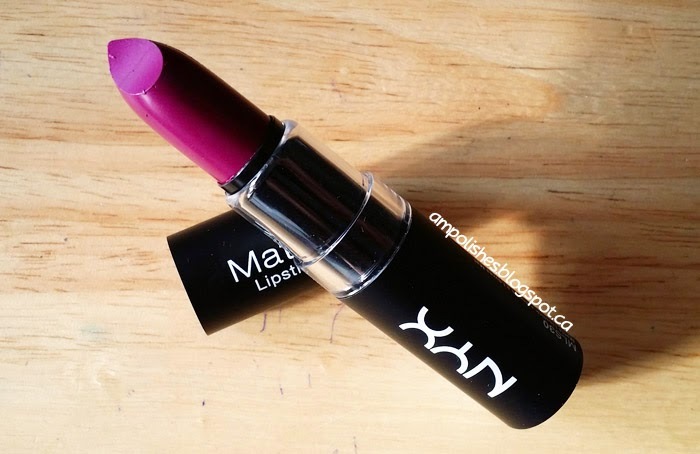 Like most NYX lipsticks, it comes in a basic black plastic tube with a clear plastic middle to show off the colour. It is not good for displaying right up as the name only shows on the bottom. One swipe is definitely not enough for coverage! Others have said one swipe was enough but...not for me :( it took about 3 swipes to build up to the opacity I wanted. But the more I used it, the better the formula felt. 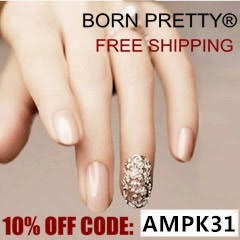 It was quite smooth for a matte and not chalky! The real kick was when I took a tissue to wipe off my lipstick, it looked like it stained my lips and I was wearing another brighter colour. 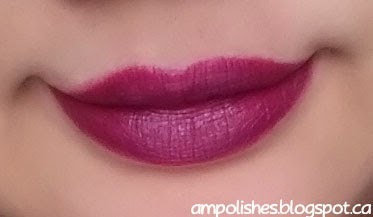 I was cringing at the thought of showing up to work with bright pink lips. Luckily, a little bit of lip scrub made most of the colour go away. Overall: 3.5/5. For the price, it's an OK lipstick. The formula takes a bit getting used to as I had to layer it on for opacity (and I am sooo lazy). 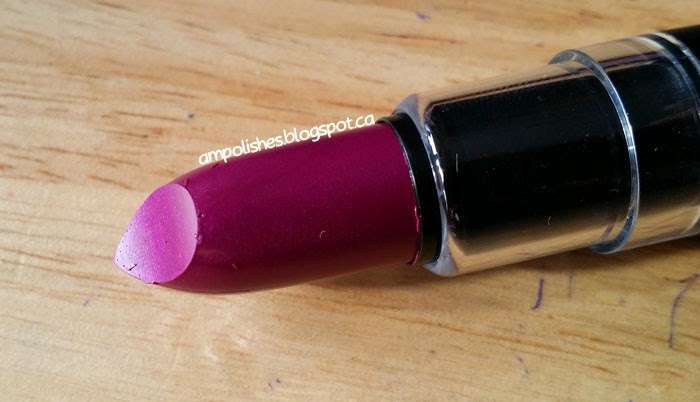 I really like the colour and for a matte lipstick the formula is pretty forgiving for lip imperfections. The staining wasn't as bad as the initial wipe off.